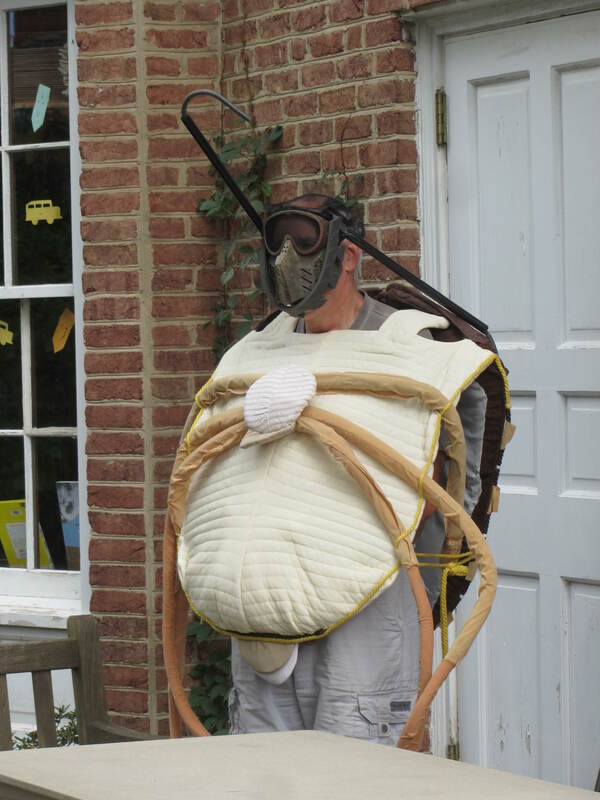 A 6-foot tall Stink Bug lurked near the back door of the Library. A Balloon Artist/Face Painter engaged the children (and some adults) in naming the colorful balloon masterpieces she created (turtles, ladybugs, snakes, zinnias), then painted critters and flowers on arms and faces. Dried herbs from the garden (lavender, rose geranium, sweet annie, patchouli, and lemon verbena) were used to make take-home sachets to scent drawers with memories of summer. Naturalist Maggie Siddle brought a beautiful Corn Snake and a grey fox pelt to teach us more about what lives in our parks. 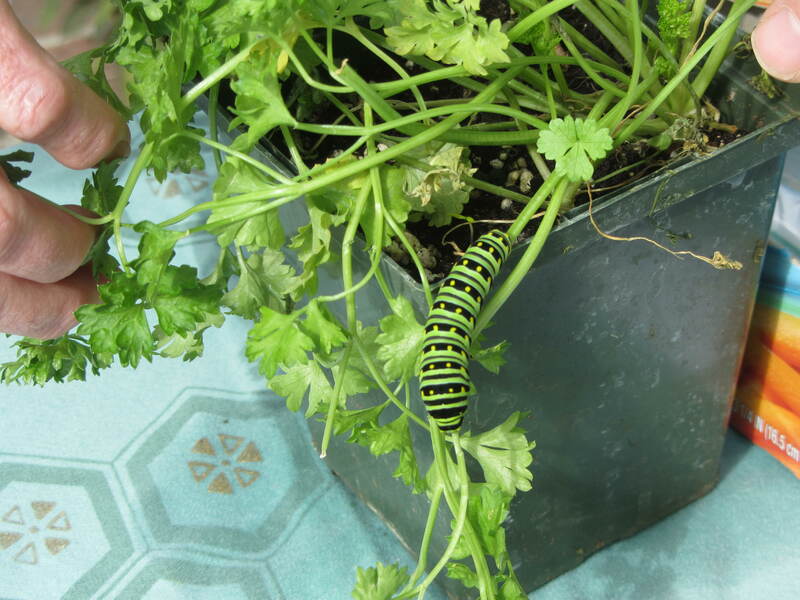 The serendipitous arrival of a large Black Swallowtail Caterpillar on a potted parsley plant was the unexpected AND highly appreciated surprise guest at AutumnFest. Have you ever watched a green, black and yellow eating machine devour all the leaves on a stem of parsley? Munch, munch, munch … you could actually watch the leaf disappear! AutumnFest was a huge success engaging 171 adults and children plus the 36 Master Gardener Volunteers who attended to the many details that helped make the event a success. These included everything from unloading Country Gardens owner Rhonda Stevenson’s trucks full of plants and pumpkins to giving mini-workshops including one called “Eat Your Yard!” to both making and giving out samples of herbalicious food and drinks. Thanks to all who came and supported AutumnFest. Your Garden Coordinators (Judy, Paul & Alyssa) were delighted to have so many friendly folks and neighbors gathered in the parking lot and back patio area, enjoying the many offerings, purchasing plants for planting this fall, learning new things and connecting with each other. That’s what community and the Library Garden are all about! This entry was posted in Demonstration Gardens, Glencarlyn Library Community Garden. Bookmark the permalink.